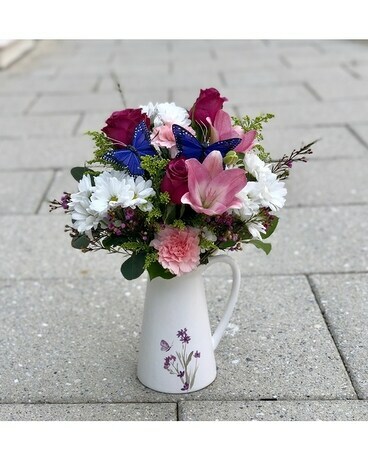 Garden Pitcher Bouquet Princeton NJ - Monday Morning Flower and Balloon Co.
Shower the special someone with a garden of love! 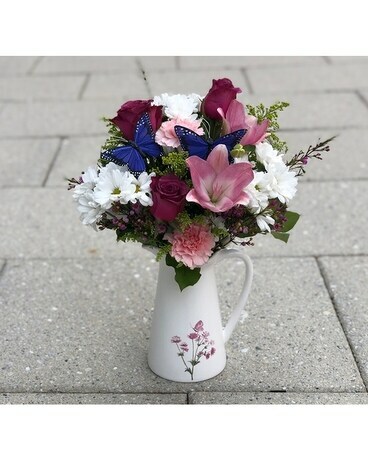 These charming pitchers overflows with a assortment of spring garden flowers in pinks, purples and lavenders. Just for an added touch of spring, we've included some butterflies to match the keepsake ceramic pitcher.